Sakai Community DocumentationSakai 11 - EnglishSakai 11 Administrator Guide External ToolsHow do I make an LTI 1.1 tool available to site owners? Click Installed Tools. If any external tools have been configured and made available in your Sakai instance, you'll see them listed. Zoom: Install LTI 1.1 tool. Click Install LTI 1.1 Tool. The External Tool page displays. 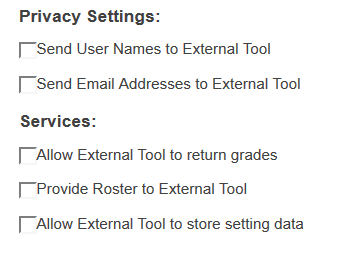 On the External Tool page, select settings and provide information as appropriate. Enter the appropriate site ID in the Site Id field if you want the external tool to be available ONLY in that site. If you want the external tool to be available in all sites, be sure to leave this field blank. (Optional) Select a custom icon from the drop-down menu. Enter text in the Description field. This description will display to site owners when they select the tool via Site Info. 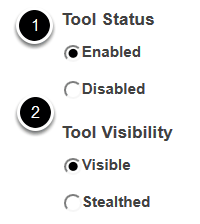 For tool status, select Enabled or Disabled. Enabled means that it is available for use in the system. Disabled means it is not available for use. For tool visibility, select Visible or Stealthed. Visible means that site owners can select it from Site Info > Manage Tools to add it to a site. Stealthed means that it does not appear in Site Info > Manage Tools and only admin users can add it to a site. Note: The following settings are unique to each external solution. If the solution being integrated is from a third-party vendor, the vendor typically provides this information. Enter the URL in the Launch URL* field. Enter the LTI key in the Launch Key* field. Enter the LTI secret in the Launch Secret* field. *Click Allow to let site owners edit this information. 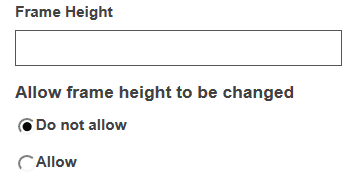 To specify a height for the tool frame in a site, enter a value (in pixels) in the Frame Height field. Click Allow to let site owners edit this value. Determine the site information you want provided to the external solution, and whether the solution will return grades for Gradebook integration. Select settings as appropriate. Zoom: Content Item Selection launches. 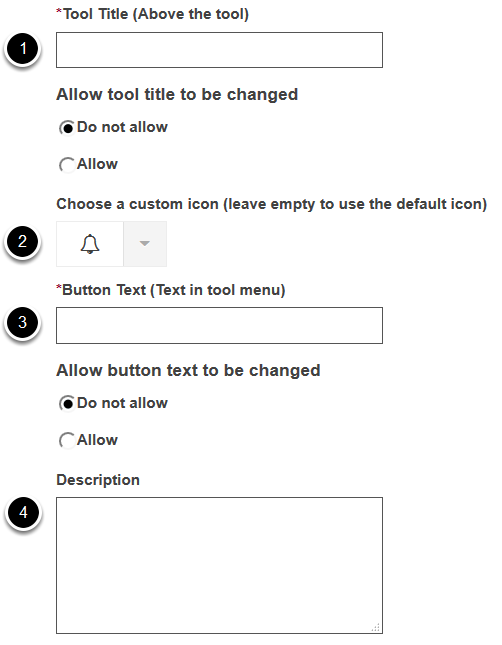 Select the ways in which you would like this tool to be able to launch within a site. Choose how the external solution displays when it launches. Click Never launch in Popup if you want it to display in a frame within the site. 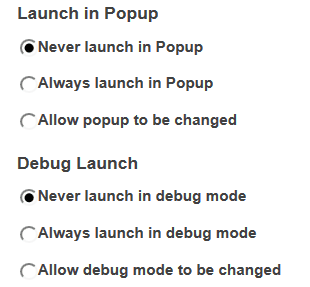 Click Always launch in Popup if you want it to display in a separate popup window or new browser tab/window. Click Allow popup to be changed to let site owners edit this setting. Choose whether debug data will display to site owners when the external solution launches. Click Allow debug mode to be changed to let site owners edit this setting. Be sure to list each parameter on a separate line. 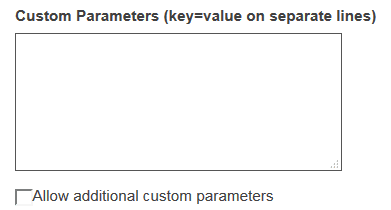 Click Allow additional custom parameters to let site owners enter more parameters. Enter text in the Splash Screen field, as appropriate. This text will display to all users before the external tool launches. Click the Save button. You'll see the external tool listed with other external tools available in the system. Prev: What are External Tools? Next: How do I add an LTI tool to a site as an admin?